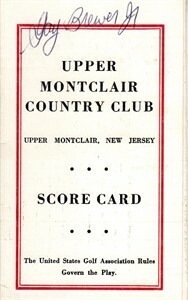 Original 1960s Upper Montclair Country Club golf scorecard autographed in blue ballpoint on the front panel by the late 1967 Masters Champion Gay Brewer. 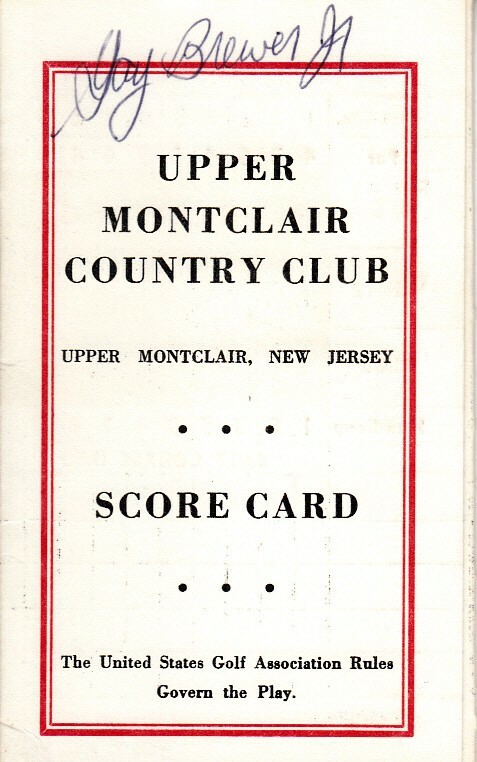 Obtained in person at the Thunderbird Classic PGA Tour event in the late 1960s. With certificate of authenticity from AutographsForSale.com. ONLY ONE AVAILABLE FOR SALE.